Over a period of 10 years, Fr. Danny (officially known as Fr. Francis Daniel) has served at Tower Hill, London, both the parish of English Martyrs and also the local primary school which shares its name with the parish. 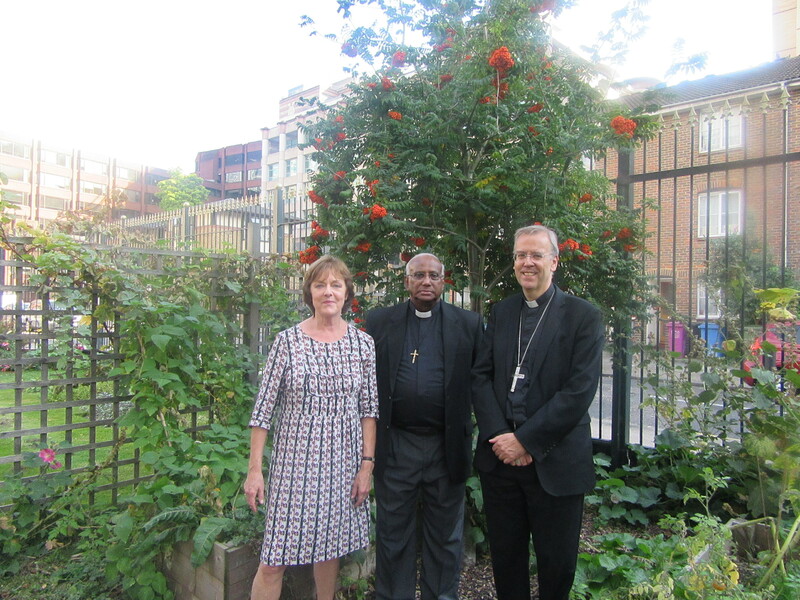 He has just returned back to Sri Lanka and we wish him well for his future Oblate ministry with his people. Historically, there has been strong links between the school and the parish and vice versa. 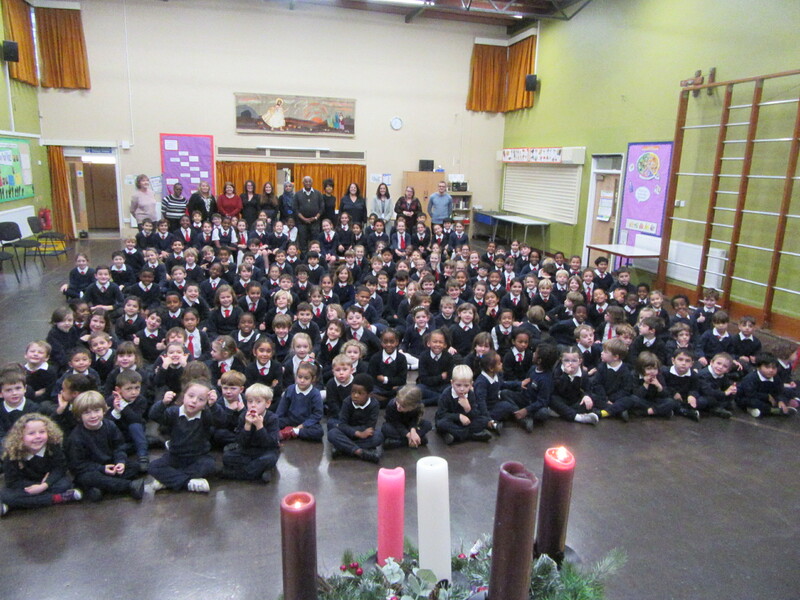 A prime example would be that of the children from the school having been always involved in the musical side of parish liturgy on numerous occasions. 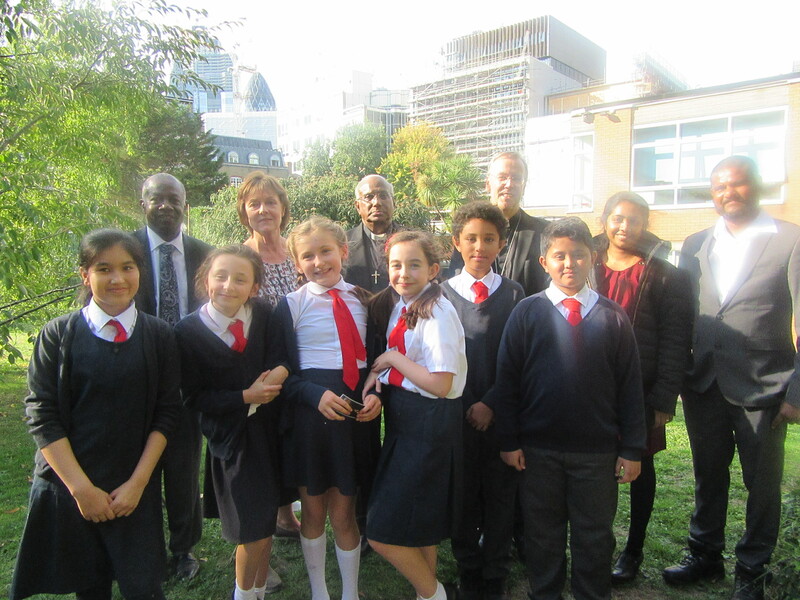 Here are a few precious memories shared by both pupils and the Head teacher from English Martyrs school. Fr Danny married my parents, when he was practising their wedding a few days before they got married my mum got really emotional saying the vows and started crying. Fr Danny told her not to cry on her wedding day but on the wedding day my mum still cried. And my Dad wouldn’t look at my mum because he didn’t want to cry. My sister and I had to give our Dad the thumbs up or thumbs down when Fr Danny asked him if he wanted to marry my mum. Fr Danny helped me to learn to be an altar server. He asked me if I wanted to serve at the altar on my own when no one else turned up at Mass. I told him I liked serving by myself. Fr Danny told me that I should always ask other people to help serve God in our Church. I was honoured to present Fr. Danny with the Year 6 leaving card at the assembly of Remembrance when we said goodbye to him. I remember when my Nan died that Fr Danny prayed for her during the sunday mass. It was very emotional for us to hear about Fr Danny’s life, but we think he really had a very emotional life. He shared his story with us from when he was a little boy and he first realised that he wanted to be a priest when his aunt became a nun. His mother was obviously a very brave and blessed woman who brought Fr Danny up to be a priest. We really enjoyed celebrating his 50th Jubilee in English Martyrs Church. We are sad that Fr Danny has decided to move back to his home land of Sri Lanka, still spreading the word and work of God. 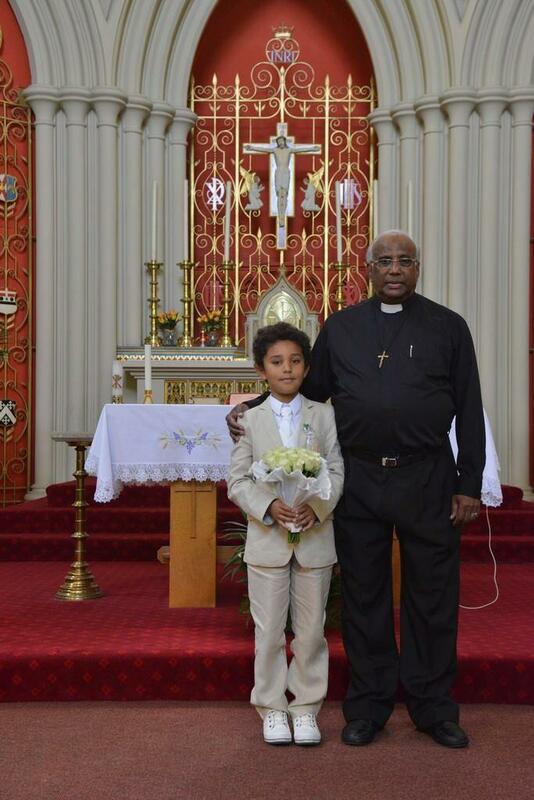 He will be missed dearly in English Martyrs School, Church, Parish and community. We will remember Fr Danny always because he celebrated our First Holy Communion and heard our First Confession. I have very fond memories of Fr Danny as our parish priest over ten years in English Martyrs parish. 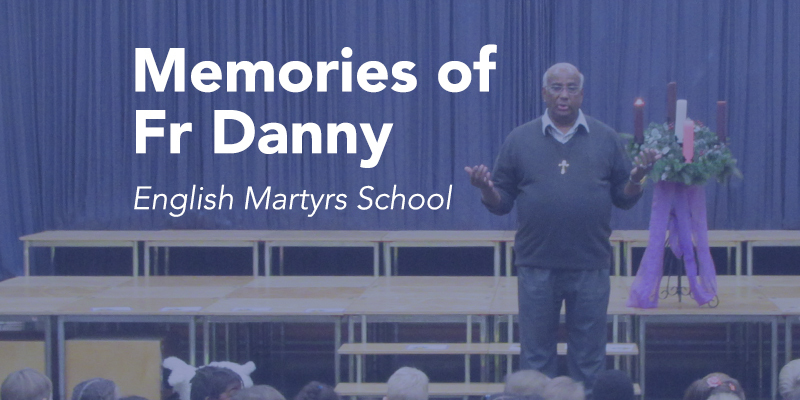 Fr Danny was always willing to support our English Martyrs primary school in many ways: by attending events in school including very long governors meetings and welcoming the school children to church for Mass throughout the year. The highlight was always the Annual Carol Service which allowed parents from other parishes to experience the beauty of English Martyrs Church. On the occasions he had to return to Sri Lanka due to ill health we missed him and were always pleased that he regained his health which enabled him to return to us. 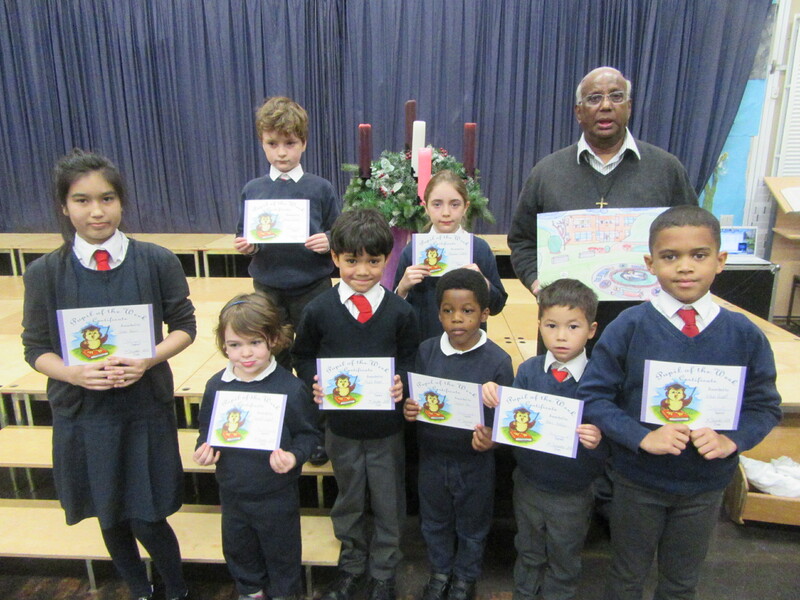 He was succinct and inspirational in his homilies for teachers and pupils. His deep faith became evident to us during his 50th Jubilee celebrations when we learned how his faith formation began at such a young age. 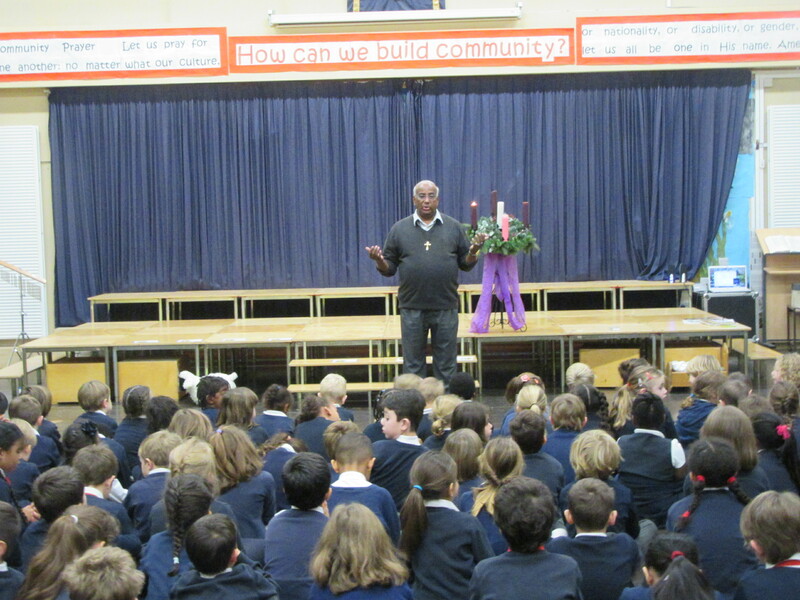 This faith journey was both special and meaningful to the pupils as they were able to empathise with him, respect his choices and recognise how the key people in his life influenced him so deeply. Furthermore, Fr Danny always blessed our Year 6 pupils with a beautiful Leavers’ Mass. He took time to carefully choose Gospel Readings which relayed important guidance and assurances for their future life with Christ. On behalf of our school community, I thank Fr Danny for sharing that amazing journey of his faith with us and thank him for his participation in our church and community over the last ten years. We wish him every blessing for many happy and healthy years to come in his native home. God bless! or as it is said in your native speaking Tamil language – Fr. Danny – Kadavul acirvatikkatum! Bronagh Nugent and staff of English Martyrs School.